Restores immediate shape, bounce and vitality to curls. Collagen gives shine and protection. Seaweed extracts help detangle and condition. I have very curly hair. Tends to be on the dry side. I used the pre-shampoo treatment L’Huile De Lenor GreyL and then followed shampoo with this spray. Excellent! My hair was lovely bouncy curls. Will definitely re-purchase. Apply to damp hair after shampooing or to dry hair on a daily basis. Perms were all the rage in the 1980s, and inspired Algues & Fleurs, a styling product for giving bounce and definition to curls. In its Institut salons, Leonor needed to be able to offer a solution for hair damaged by this trend. Jean-Marie Greyl took inspiration from Bain Restructurant, released in 1981, and dreamt up this curl-toning lotion based on seaweed and flower extracts. 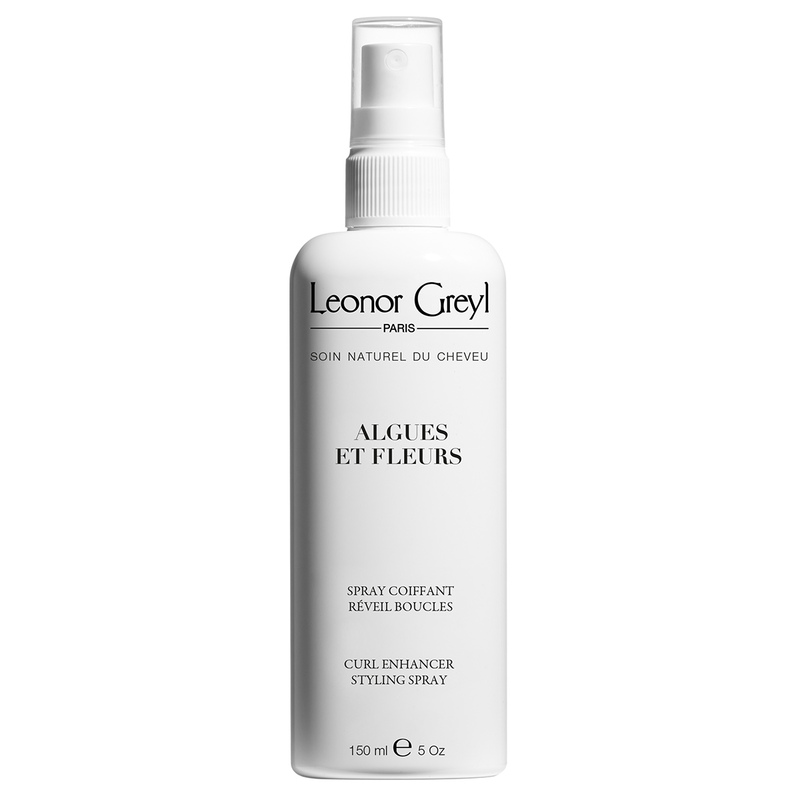 Repackaged as a spray a few years later, Algues & Fleurs became a handy tool used by stylists on all naturally curly or wavy hair lacking in vitality.